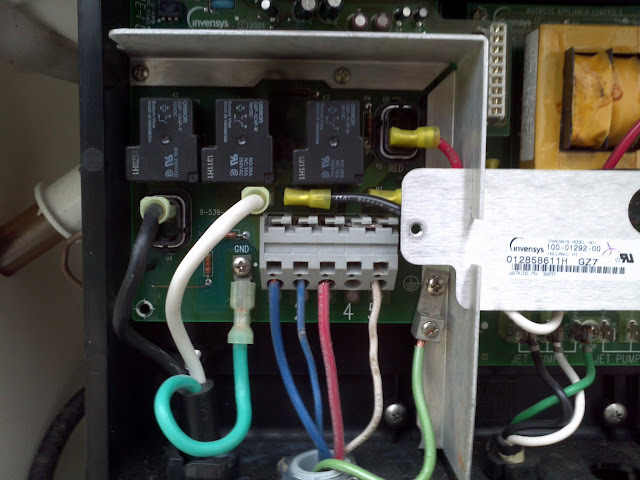 Here's the damage to the hot tub heater relay board. Apparently this is a flawed design, with many people experiencing this failure. The board has actually been redesigned. Here's an excerpt from the description of the new board: "It's upgraded design provides a more efficient method of connecting the heater's power cord to this board therefore reducing fatigue on the three relays." I certainly hope so. I think this hot tub has only been run on 110V for it's entire life. We wired it to run on 220V, which it is designed to be able to do. The big difference is the heater runs at 1500W on 110V, but when connected to 220V it runs at 4X the power, or 6000W. 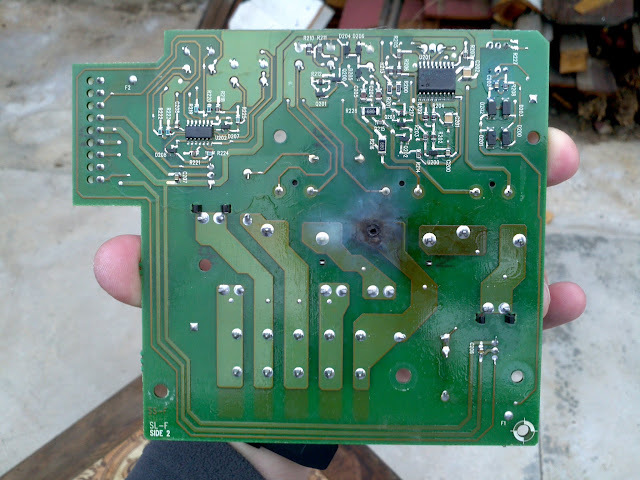 Apparently that's too much for this circuit board to handle. The current plan is to have my electrical engineer/soldering pro manager at work replace the relay (which has been ordered for $4) and add some additional wiring to supplement the traces on the board (recommended on the forums). I have also contacted the manufacturer and requested a free replacement board with the new design. Good to know that you redesigned! Heater are a necessary part in a hot tub. Hot tub cannot be heated if your hot tub's heater is not working. 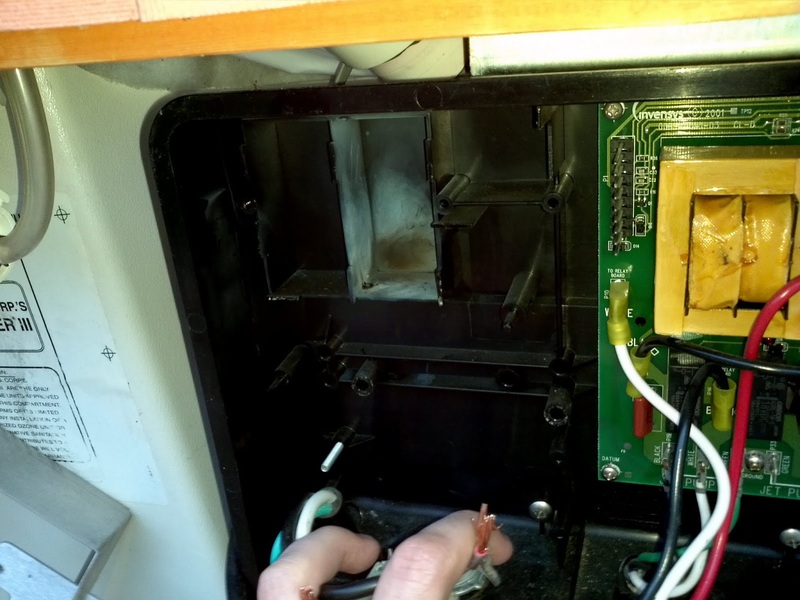 Buy quality Hot Tub Heater Elements for your hot tub so that you can maintain it without any damage. Thanks.